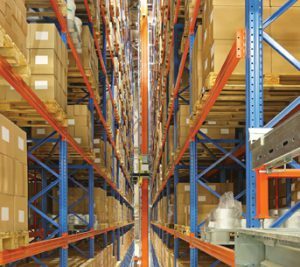 In virtually every major manufacturing and distribution sector, automated storage and retrieval systems (AS/RS) are employed. Equipment and controls that handle, store and retrieve materials under a defined degree of automation continue to grow in demand. To better understand what companies are looking for when it comes to selecting an AS/RS solution from the relatively simple manually controlled order-picked machines to extremely large, computer-controlled storage and retrieval systems, MHI Solutions spoke with leaders of MHI’s AS/RS Industry Group. Dan Labell, president, MHI member Westfalia Technologies, Inc., believes it’s important for an organization to do their homework prior to purchasing and implementing an AS/RS. “With an AS/RS’ ability to improve workflow, optimize space, boost throughput and more, it is easy to get caught up in the technology itself and dive headfirst into an implementation. However, no two organizations’ operations are the same. Before breaking ground on a new building or investing in new infrastructure, you must take a step back. It’s important to identify long-term plans and design year, understand your current storage method, analyze processes and lastly, evaluate your current and planned facility,” Labell explained. When it comes to working with an AS/RS solutions provider, Labell encourages companies to select their vendors carefully. “If a company does not possess credentials in the industry vertical in which you operate, find a vendor that does. Understanding your business and your unique requirements is a prerequisite to a successful implementation. Identify a vendor that sticks to the fundamentals, stays within its core competencies and has the vision to identify with your problem domain,” Labell concluded.